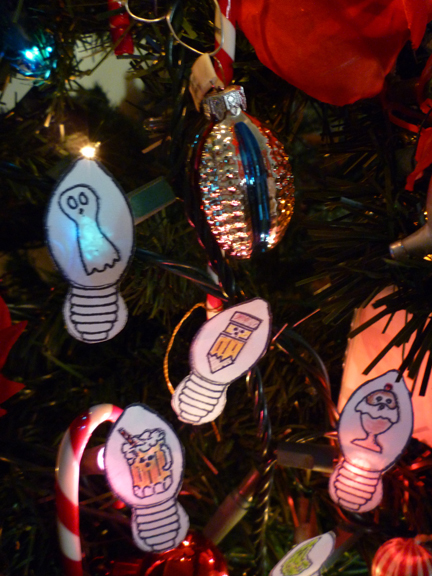 Grandma LoLo’s original Peeky Peepers that I created for Logan for our Christmas tree game. 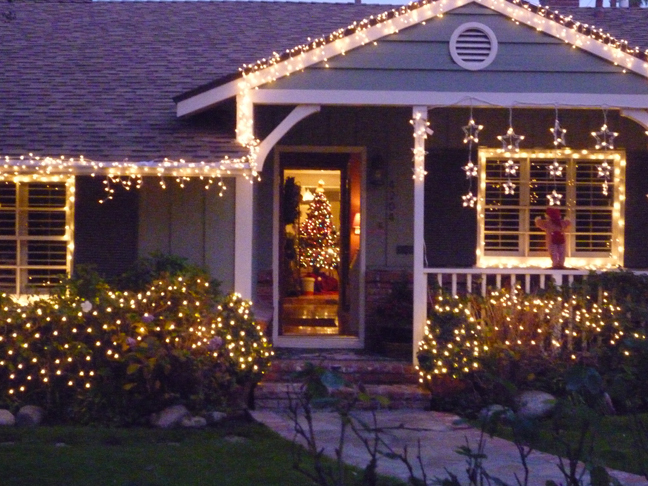 Our Christmas cottage all a-twinkle. Besides the elf peeking in through our window…you, too, can see our tree through the front door. 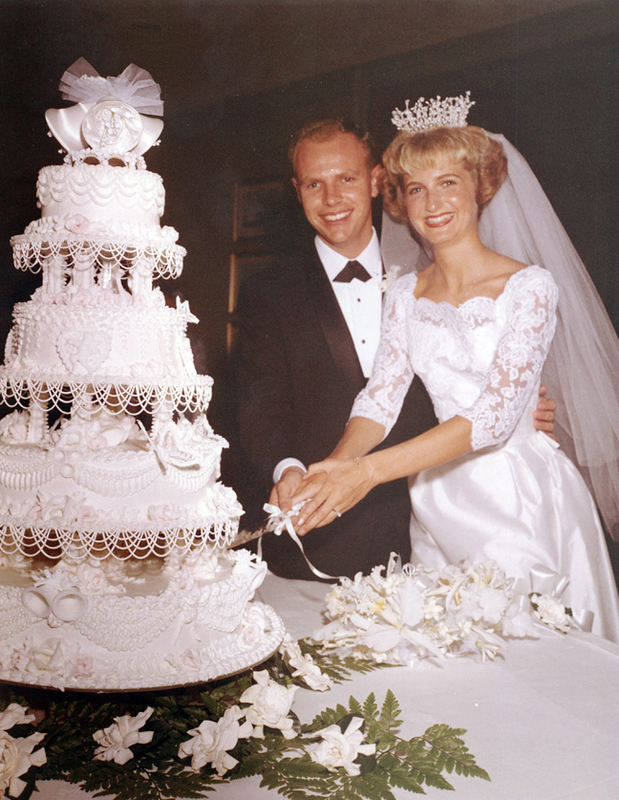 The two of us “cutting-up” on our wedding day: August 18, 1962. The diameter of my “crown” was about the same size as my waist. Only seems like 20 inches ago! 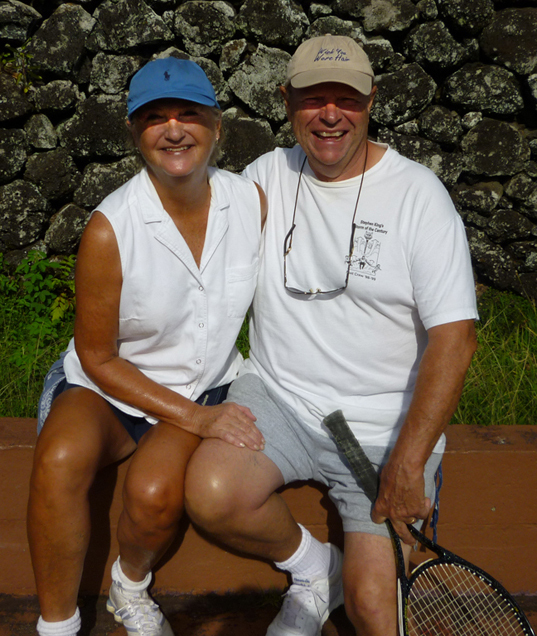 Here we are on the tennis courts in Hana, Maui: 2012. Love, game, set, match!